NIA-CHARLESTOWN, NEVIS (March 23RD, 2011) — “Let us not take water and water consumption for granted,” was the World Water Day message of Junior Minister with responsibility for Works, Natural Resources and Public Utilities in the Nevis Island Administration [NIA] the Honourable Carlisle Powell. Minister Powell, during yesterday’s [Mar. 22] address, spoke of Nevis’ advances in water. Such advances, he affirmed, came after the 2006 election of the Nevis Reformation Party-led NIA. “It is clear that this Nevis Island Administration, led by Premier: the Honourable Joseph Parry, has put water at the forefront of all development on Nevis. Among the advances stated by Mr. Powell were the NIA’s exploration of additional sources of water through the use of new mapping and deep drilling forms of technology and its collaborative staff training in areas such as integrated water management and metering. “This project [exploration of additional sources of water] was very successful and yielded an additional 1 million gallons of water per day,” he said, adding that “the piping network continues to be enhanced” through the construction of a large number of new roads. The “Nevis Water Supply Enhancement Project,” which emerged from the “NIA’s water master plan” and was approved in Feb. 2011, received much attention from the Natural Resources minister who underpinned the project’s benefits during yesterday’s address. “The project seeks to contribute to the development of an efficient, sustainable and adequate supply of potable water on Nevis and will see the enhancement of the water supply network capacity, capacity building and strengthening of the institutional arrangements for service delivery and the strengthening of the legislative and institutional framework for the management of water resources,” Mr. Powell explained. 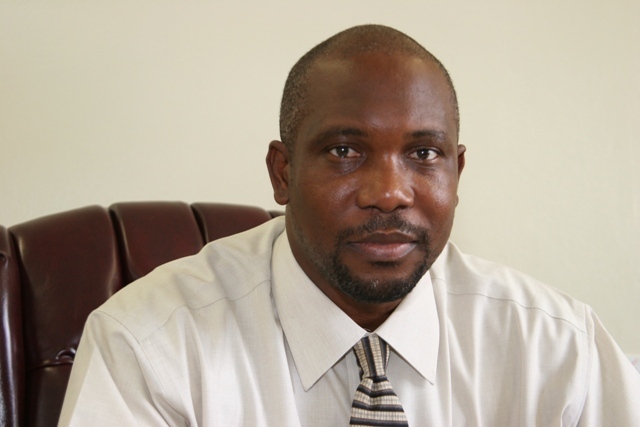 Minister Powell’s address was broadcast during Nevis Television’s Tuesday-night programming.